Online dating service CherryFun.com presents people from all over the world, millions of new friends, singles online, personal ads, special relationships, and your true match! Everyday more and more people start to use online dating services for different reasons: to find a friend, soul mate, pen pal, singles online or a person you dream of. 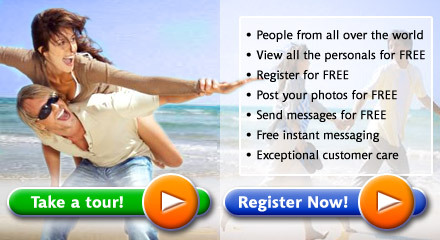 They create photo personals online and send messages to other singles online. Our online dating service is the right place for all of these purposes! CherryFun.com will assist you in every aspect of online dating, no matter what your purpose is - Dating, Pen pal, Flirt, Intimacy or just having fun. Huge experience in online dating service and matchmaking offers the members of CherryFun.com millions of possibilities to meet your match. Feel free to browse through the personals online, find your soul mate, and only after that register for free to be able to send and receive free messages. CherryFun.com represents only quality in online dating service and matchmaking. We verify every member's profile and photos before processing and approving them to ensure seriousness and legality, this process enhances user dating experience. We are firmly protecting our members' privacy - your privacy will never be disclosed. Don't hesitate to try it yourself and find your mate - click here to register. To find more personals go to Search Women or Search Men area of our dating site. We wish you to have more fun in dating, matchmaking and creating your relationships.